Real Food Is Our Mission. Just like you, we’re trying to provide the best food for our family. That's why we are on this family quest to produce nutrient-dense foods that heal and nourish our land and those who eat of its bounty. Nearly 25 years in the field of computer technology we became concerned about the direction of our health and how it linked to the source of our food. After years of study be we became convinced that we could produce healthy natural foods that will directly affect the health of those who consume the products. Now 5 years in and through how we manage our soil, plants and animals we are seeing the benefits of our farming choices. In 2014 we embarked on a radical journey to transition to operate a regenerative pasture based farm. We are blessed with loyal patrons that are helping us relaize the creation of a farm-to-fork food venture that that aims to serve thousands of families with nutrient-dense foods grown from healthy regenerative soils. Grasslands are nature's foundation for preserving our expanses of fertile land. We believe the prairie's natural bio-diverse habitat works in symbiosis to protect and build the precious layer of fertile topsoil which the world depends on for food production. 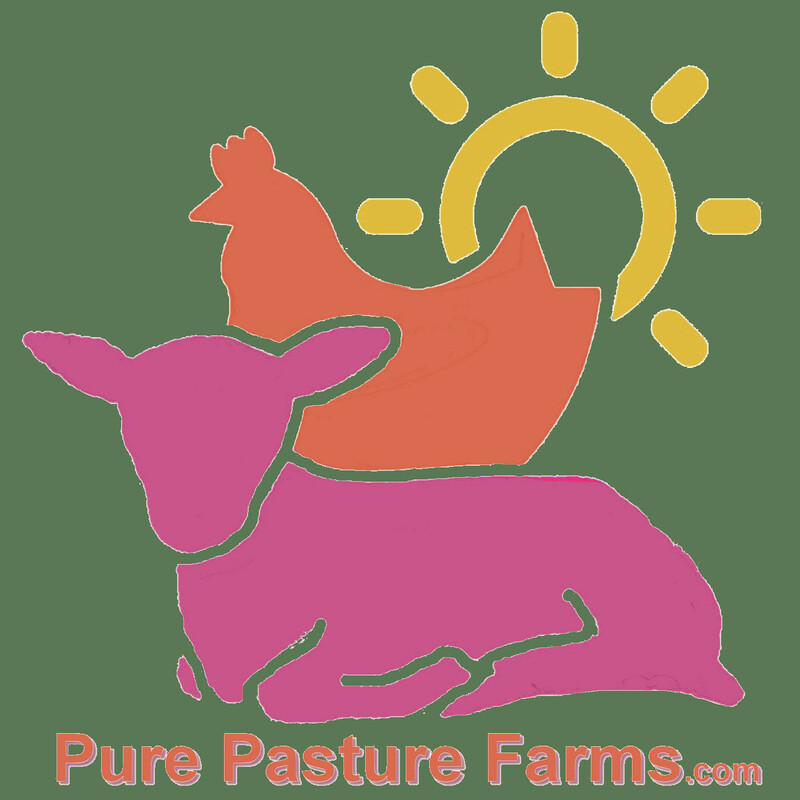 At Pure Pasture Farms we take our customers' trust very seriously and it's our goal to earn long-term trust and respect by being up-front and honest about the claims we make about our products. We are currently working to establish a small fellowship of carefully selected farmers and artisans that are committed to producing livestock according our specific standards. We are committed to investing time to visit and develop trusting relationships with our partnering farms in order to ensure the quality and integrity of our products.